¡Hola! Ya estoy de vuelta con otra tarjeta primaveral… en ésta he usado mucho embossing, una de mis técnicas favoritas y la temática de dos retos en los que participo, el de 3flowers: “A embosarlo todo se ha dicho” y el de Seven Hills Crafts. Hi there! I’m back with another springtime card… in this one I used plenty of embossing, one of my favourite techniques and the theme of two challenges that I’m participating in; the one at 3flowers and the one at Seven Hills Crafts. En primer lugar, utilicé una carpeta “Next Level” de We R Memory Keepers para hacer embossing en seco (o repujado) en el panel de fondo. First I used a “Next Level” embossing folder by We R Memory Keepers to dry emboss the background panel. Después usé mi plegadora para darle textura (embossing manual) a una cartulina de color kraft, de la que recorté los tres conos con unas tijeras. 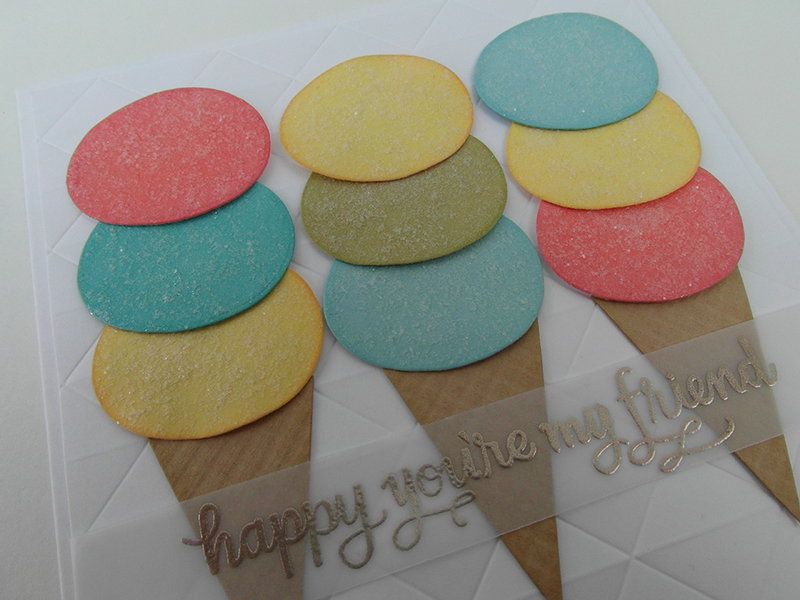 Next I used my scoring board to score a piece of kraft cardstock (old fashioned scoring embossing) from which I then cut the three cones with a pair of scissors. 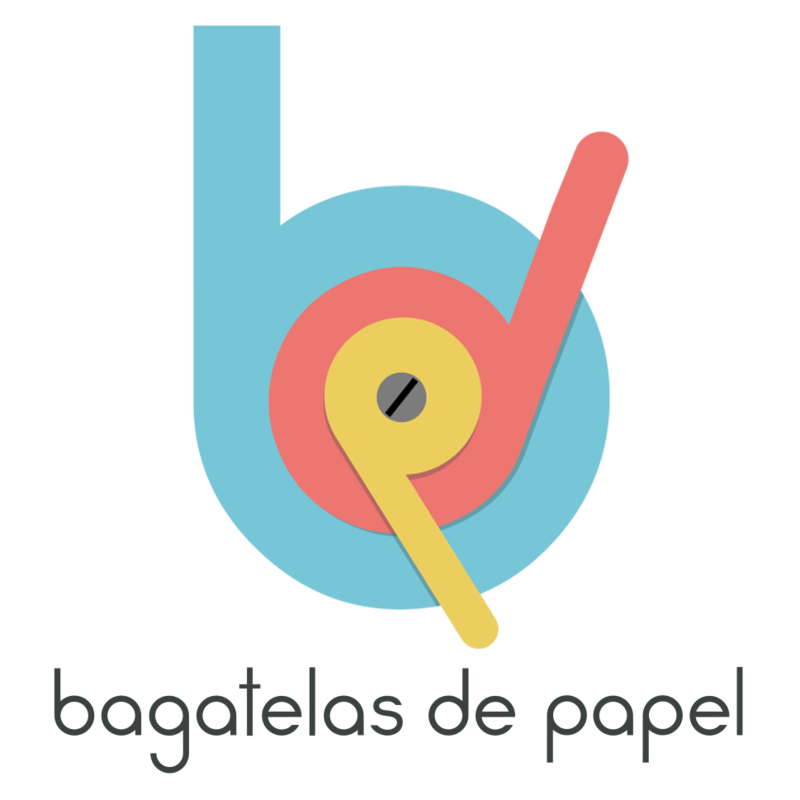 Por último usé polvos de embossing de Hero Arts color platino para estampar (embossing en caliente) el sentimiento en una franja de papel vegetal. Lastly, I used Hero Arts’ Platinum Embossing powder to heat emboss the sentiment on a strip of vellum. 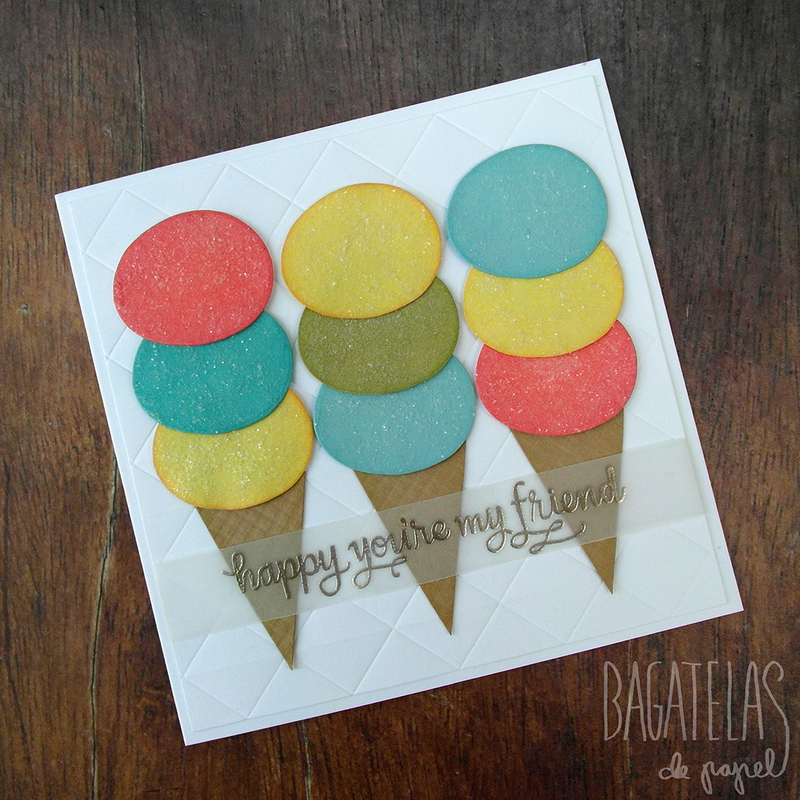 Corté las bolas de helado con un troquel del divertido set “Fruit People Dies” de Paper Smooches. Después las cubrí con una generosa capa de “Rock candy” Stickles, un truco que aprendí de Kathy Rac de The Daily Marker. 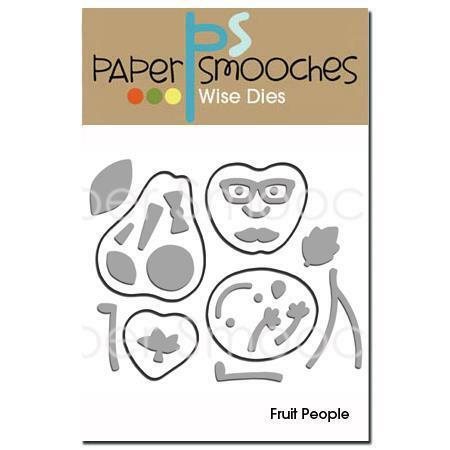 I used one of the dies from the fun set “Fruit People Dies” by Paper Smooches to die cut the ice cream balls. Then I covered them with a generous layer of “Rock candy” Stickles, a trick that I learned from Kathy Rac from The Daily Marker. Os dejo con un último vistazo a mi tarjeta… ¡hasta pronto! 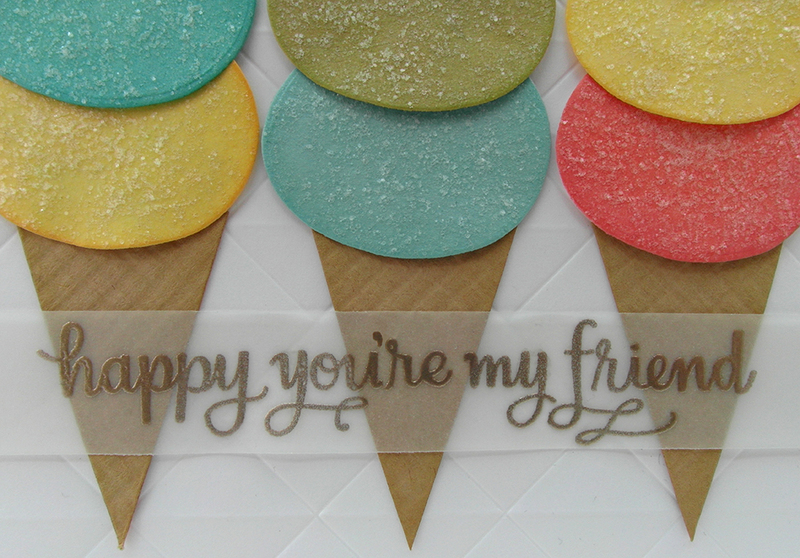 Here’s a last look at my card… See you soon!